With the Sulky lounge an unusual venue available in the middle of Hamburg with plenty of room for your ideas. Situated at the edge of the Volkspark, the Sulky Lounge offers a unique ambience for all kinds of events and meetings. Take advantage of the many possibilities: 1,700 square metres of event space and over 50,000 square meters surface provide space for all types of events. Whether corporate event, Conference, wedding or Christmas celebration: in this Hamburg venue each becomes an unforgettable event. Because the event location Sulky lounge belongs to the Bahrenfelder Trabrennbahn, are no limits for your event in Hamburg the scope and the possibilities. The square in front of the location is completely paved and extends to 7, 500 sqm. The Luruper bow is the button next to the track at the Volkspark. Trees and hedgerows provide an idyllic park surroundings. Up to 20,000 visitors visit this part of the special place of location. Sporting events and other large - and cultural events from 20,000 visitors like to perform in the 50,000 square foot indoor field. 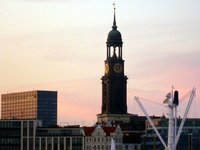 This top location in Hamburg is especially suitable for corporate events in any size, summer festivals, Christmas celebrations, cultural events and private events of all kinds. Each event is feasible due to the size of modern technology and innovative team.